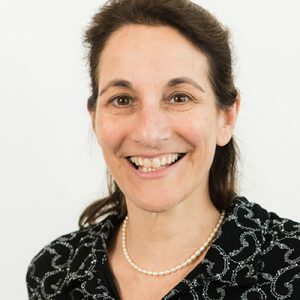 Ruth Lowenkron is the Director of the Disability Justice Program at NYLPI. Lowenkron has been active in the field of disability law since 1981, working at Untapped Resources, Inc. (New York), the Community Health Law Project (New Jersey), the Education Law Center (New Jersey), and Disability Rights New Jersey. Lowenkron has assisted countless persons with physical, mental and other disabilities via impact litigation, legislative advocacy, community outreach. She was recently certified as a special education hearing officer in New York City, and is an adjunct professor of disability law at Seton Hall Law School. Lowenkron received her bachelors degree from Cornell University and her law degree with the inaugural class of the City University of New York Law School.